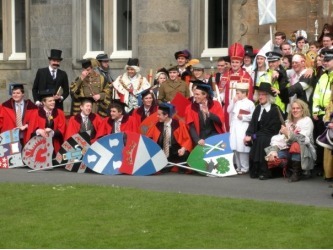 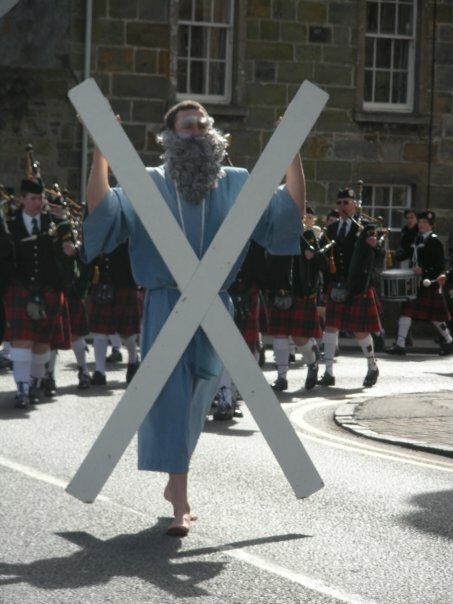 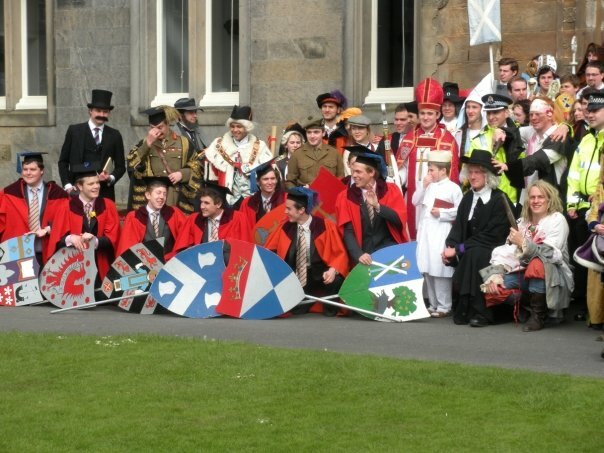 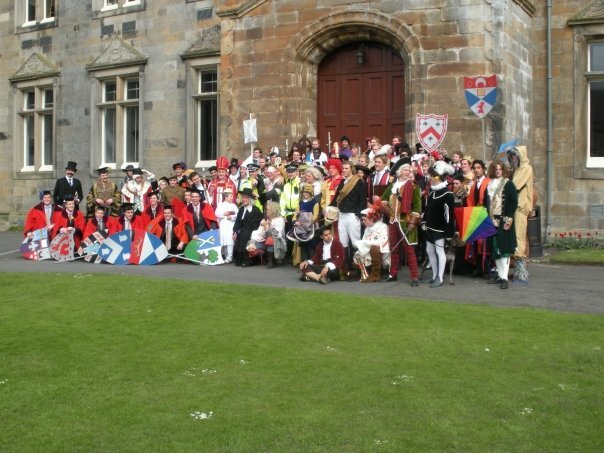 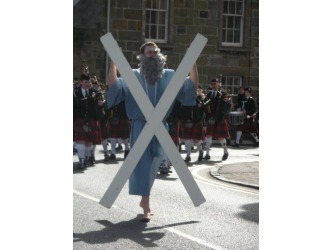 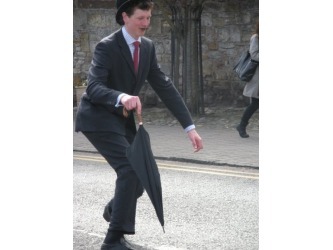 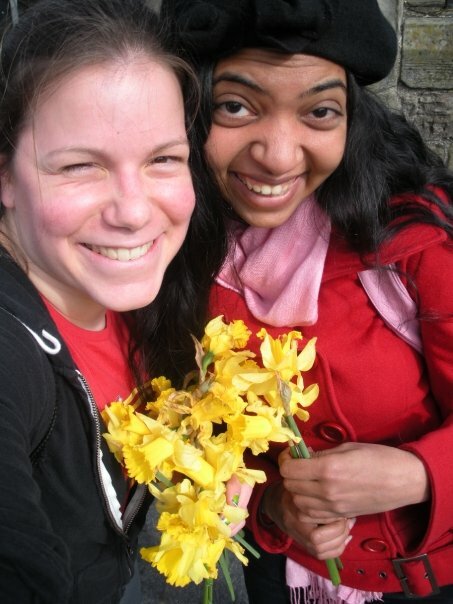 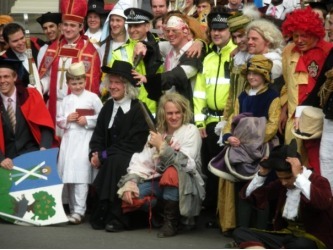 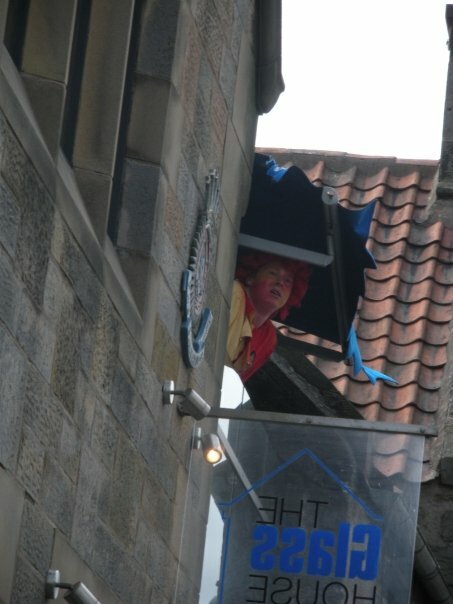 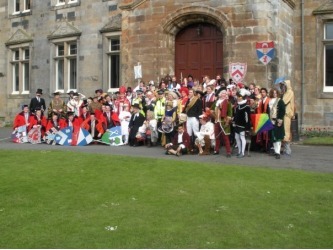 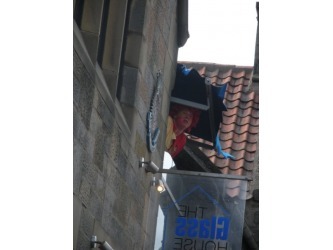 A St Andrews Tradition, held by the Kate Kennedy Club. 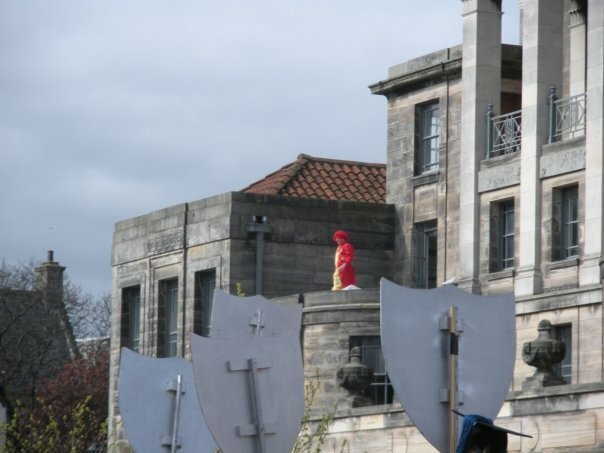 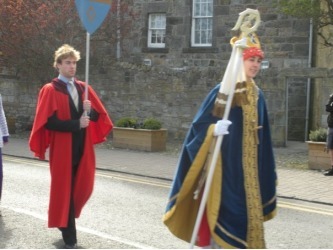 It symbolises the history of St Andrews and the important points and people in it. 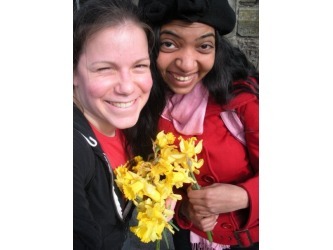 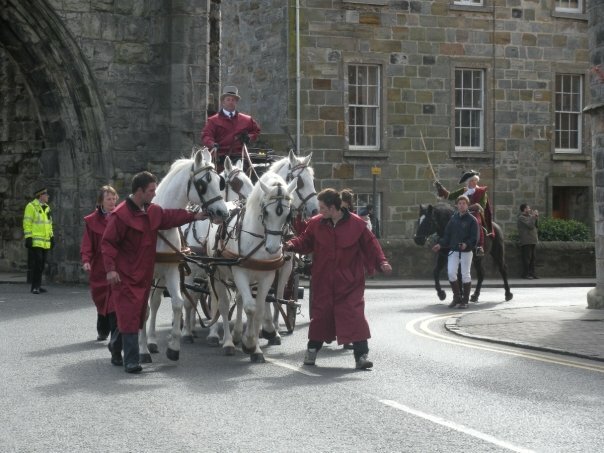 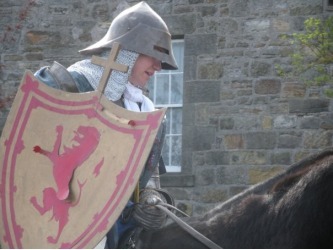 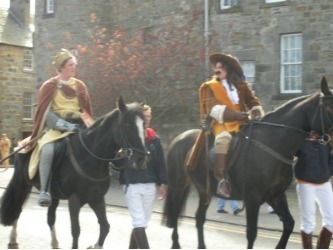 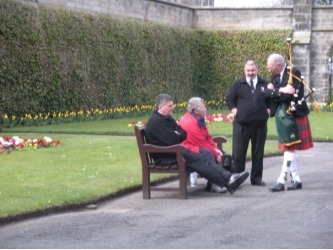 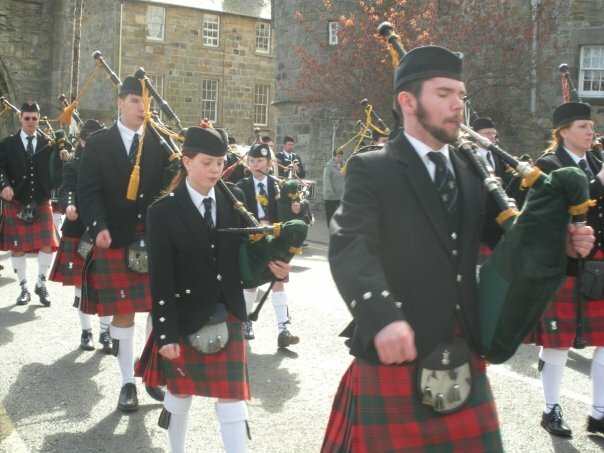 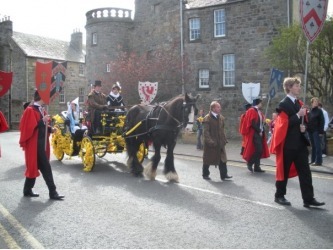 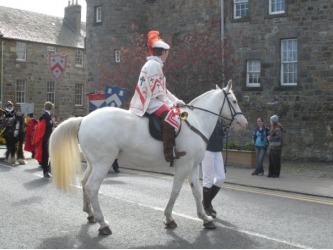 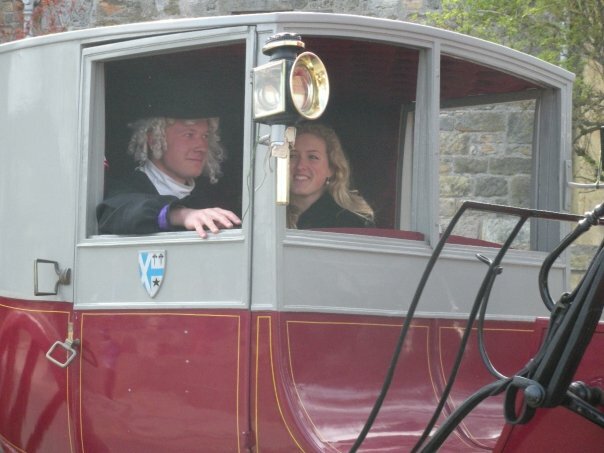 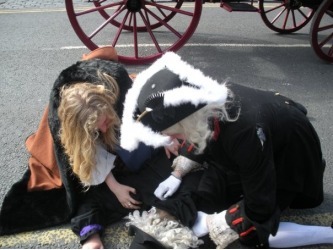 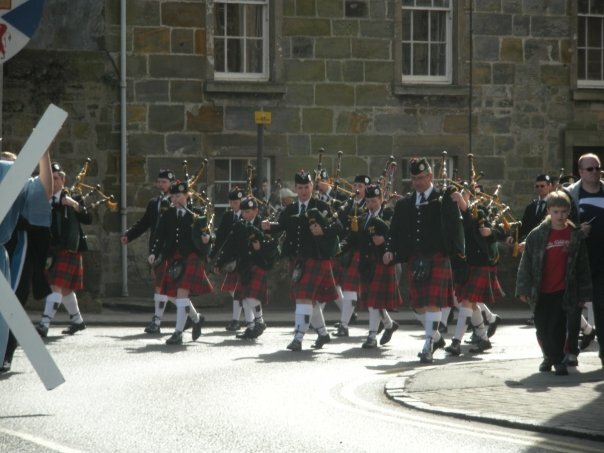 It is held in honour of Kate Kennedy who was a prominent charitable woman connected to the town of St Andrews. 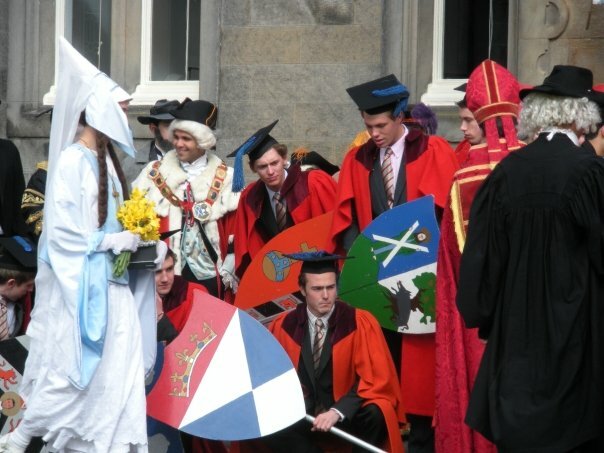 There was some controversy surrounding the Kate Kennedy Club this year, as the Principal took away their status as an official University Club because they do not allow female members. 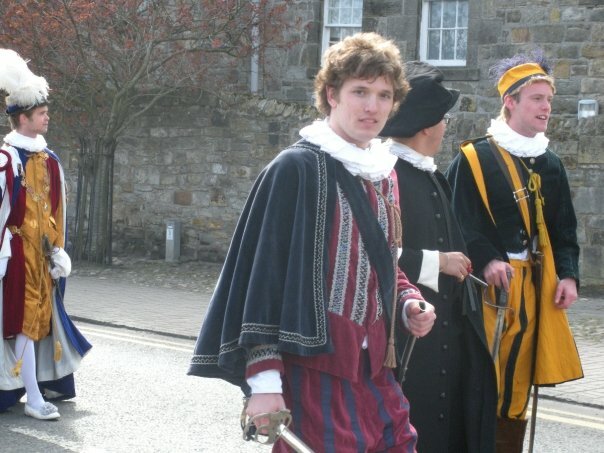 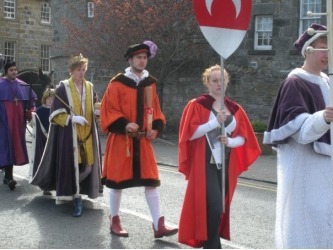 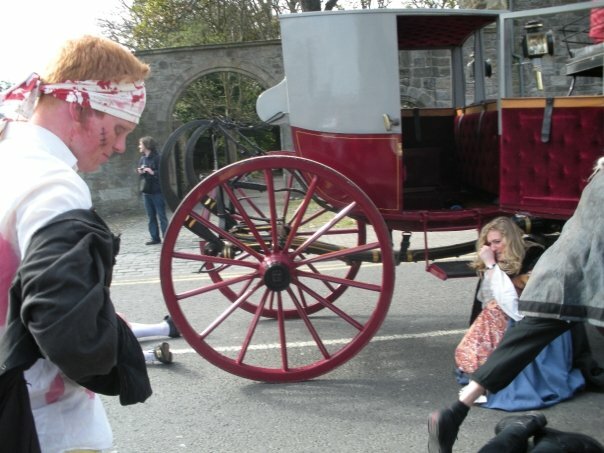 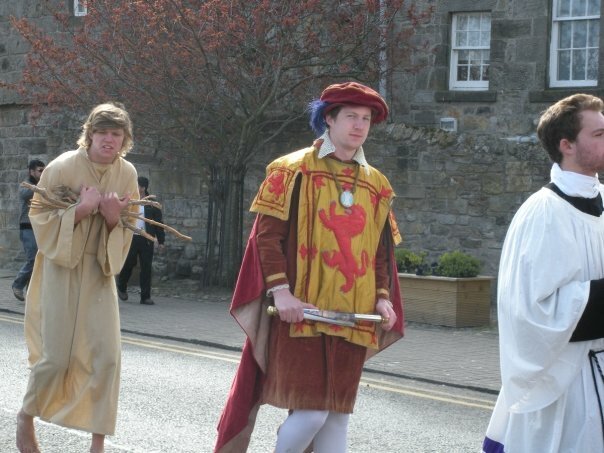 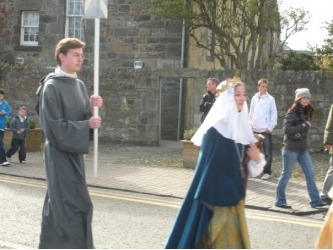 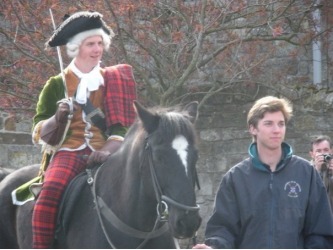 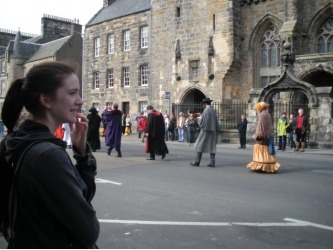 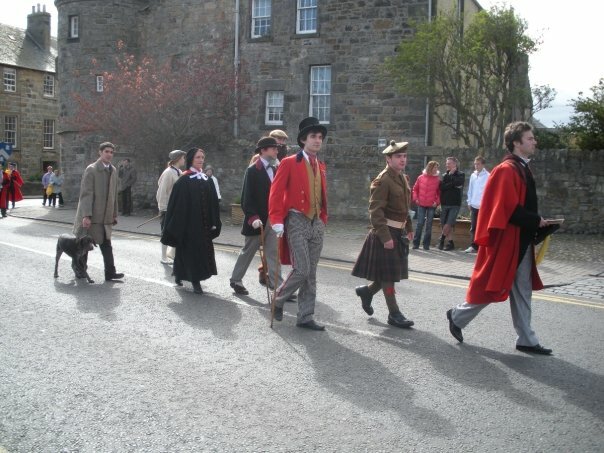 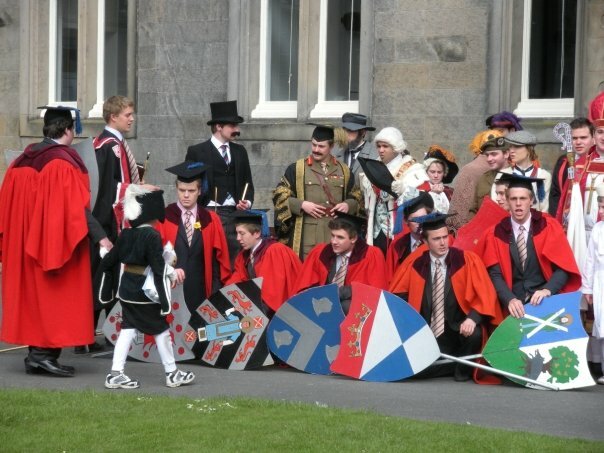 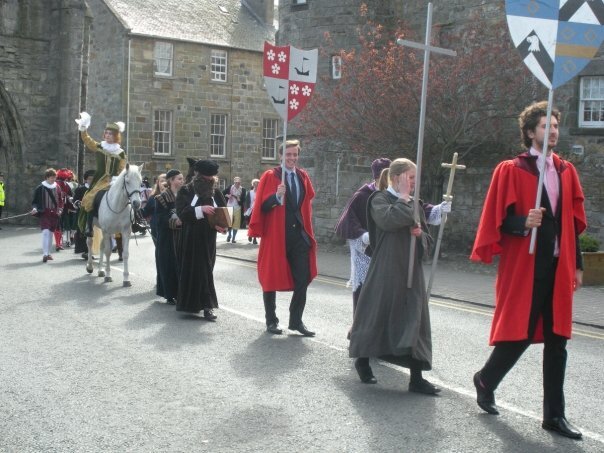 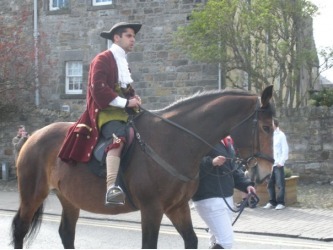 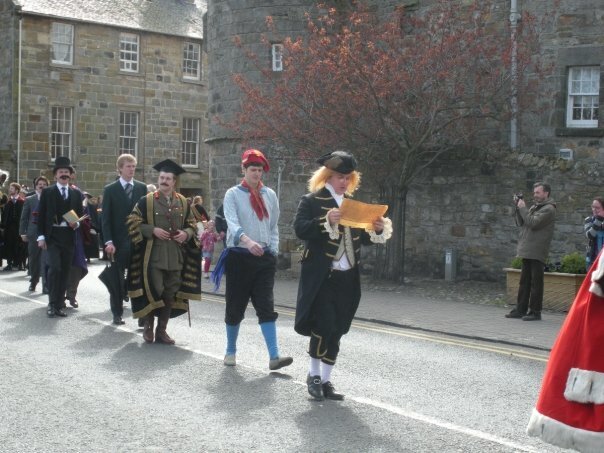 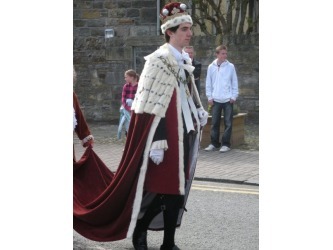 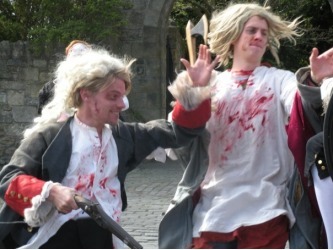 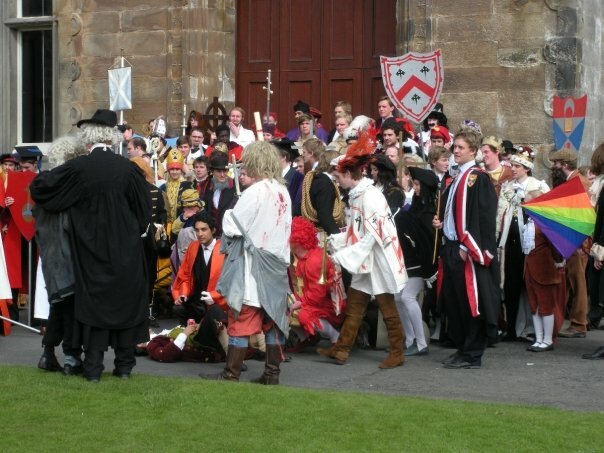 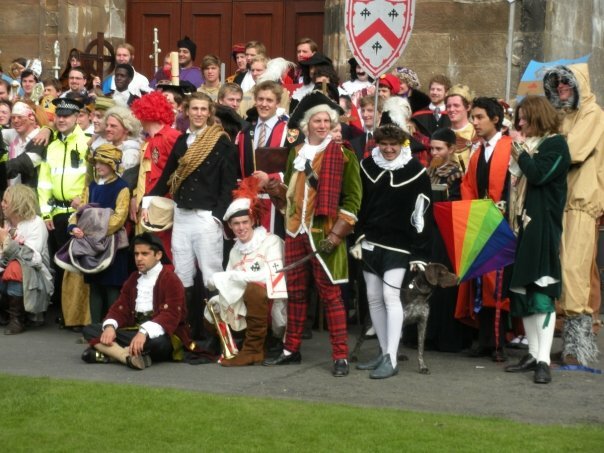 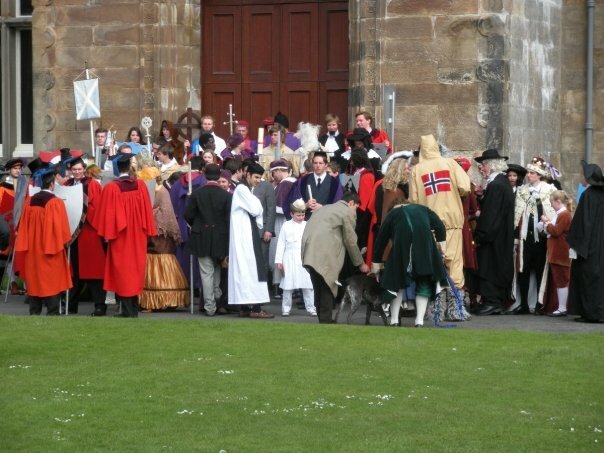 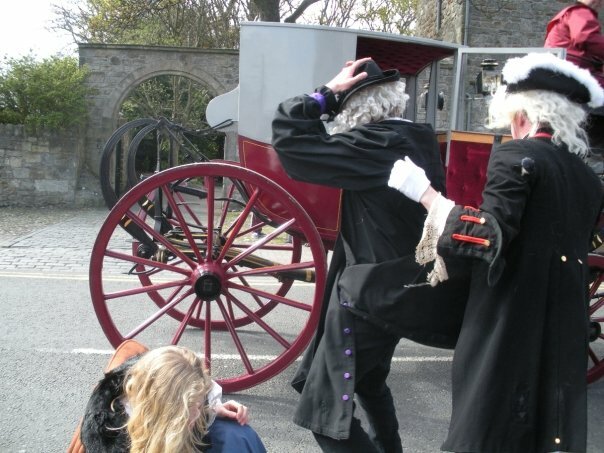 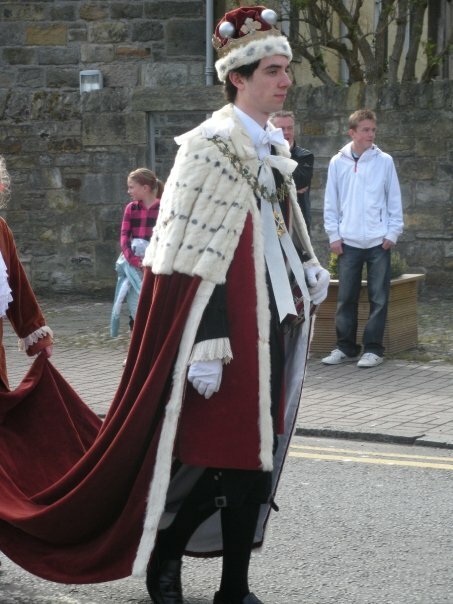 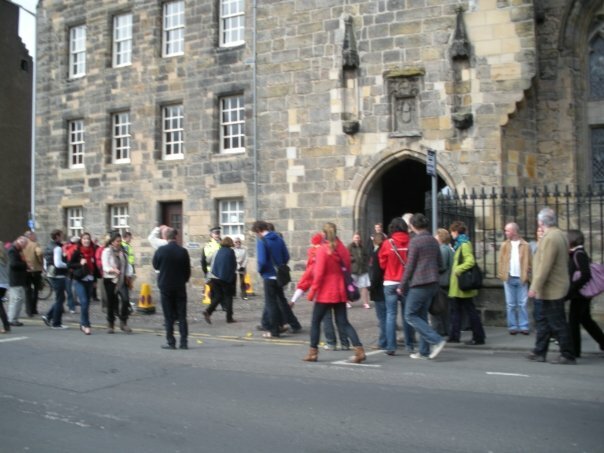 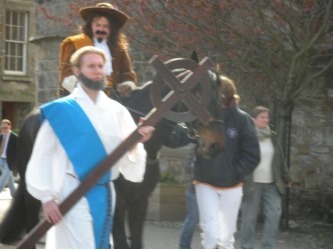 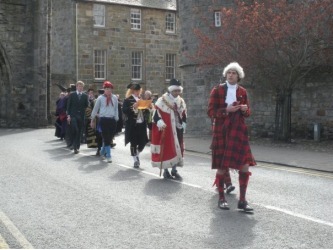 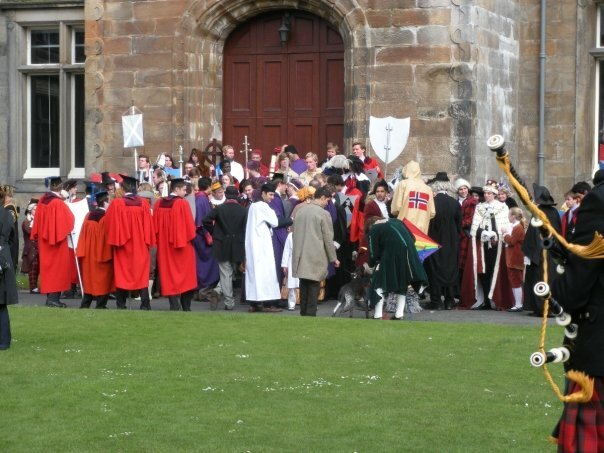 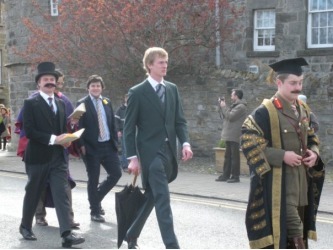 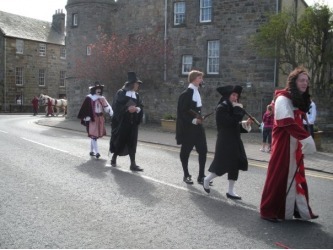 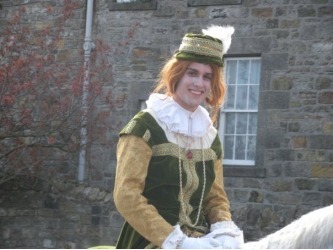 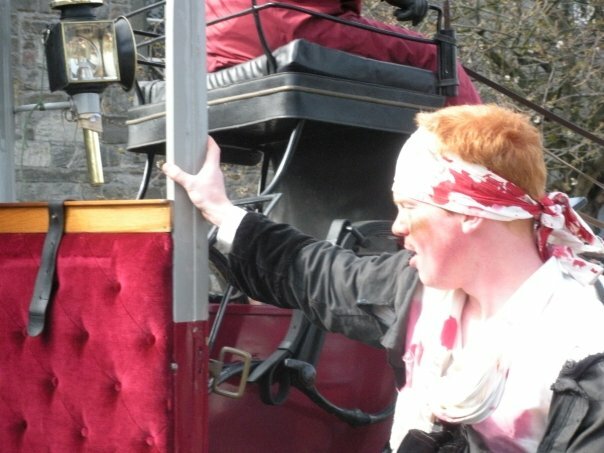 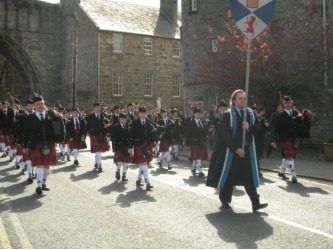 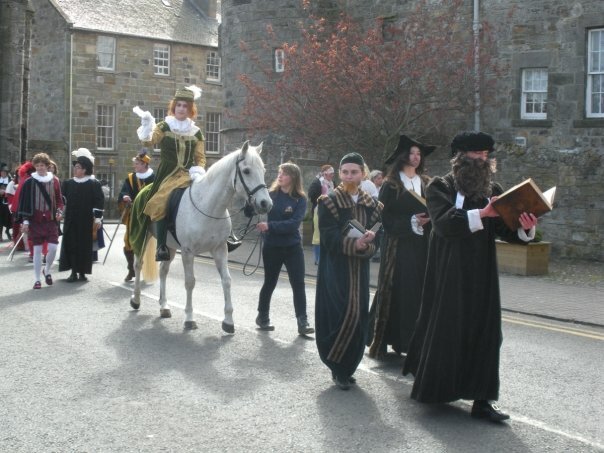 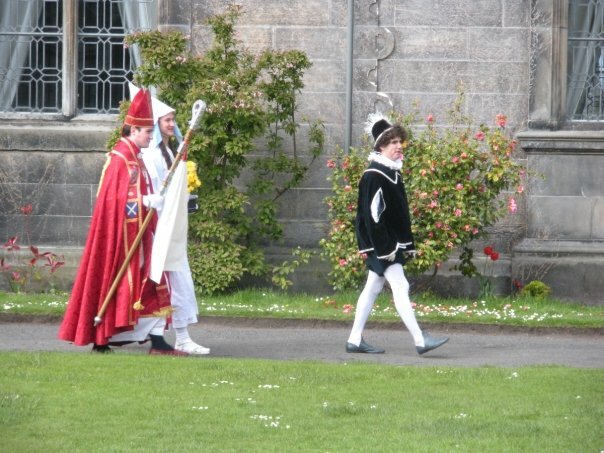 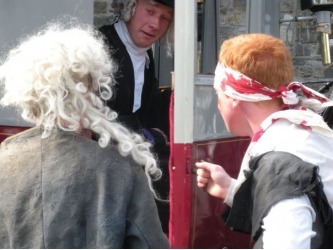 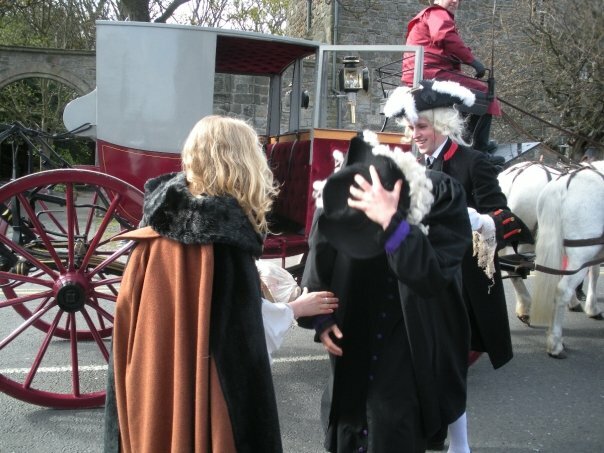 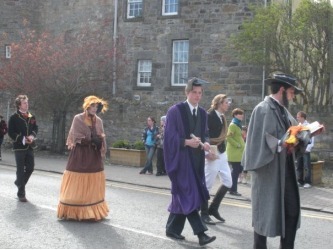 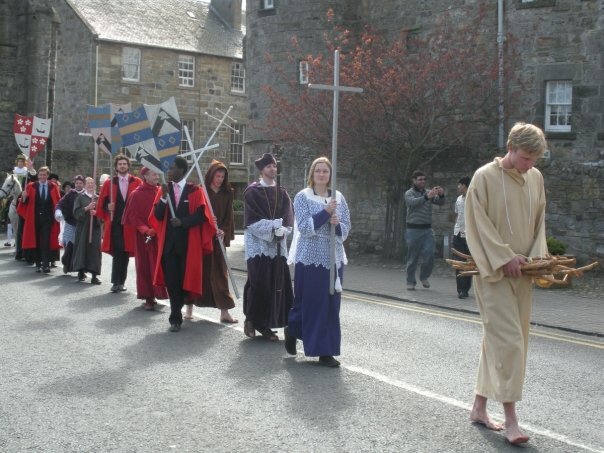 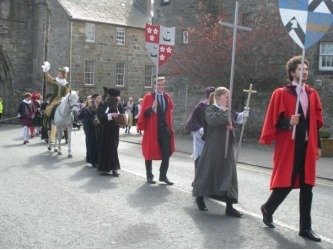 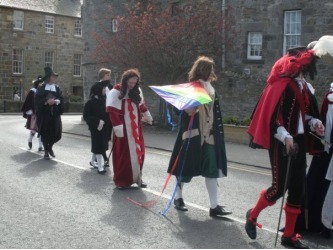 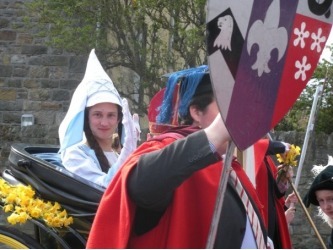 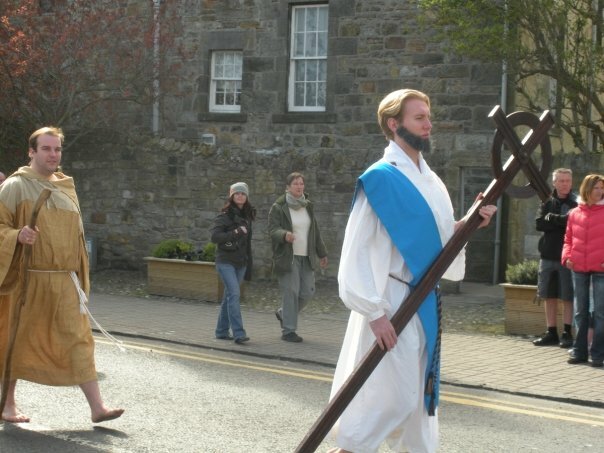 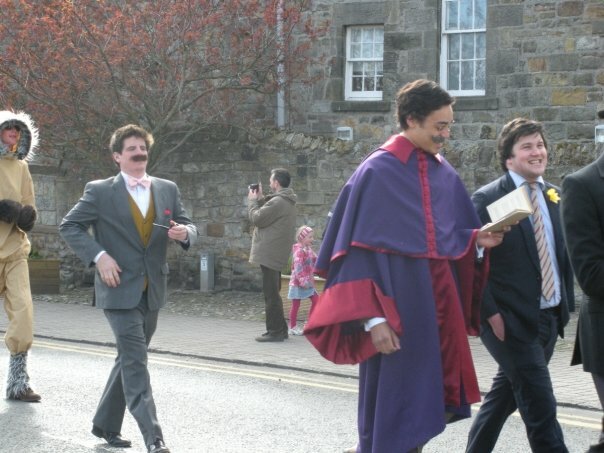 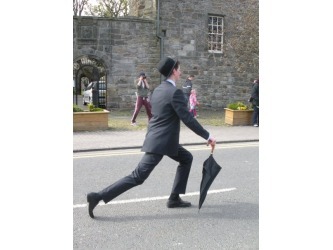 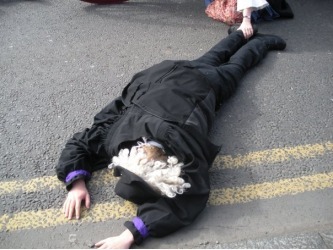 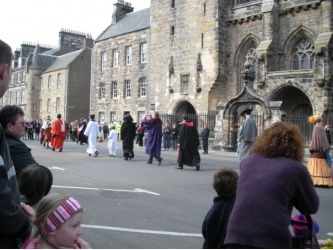 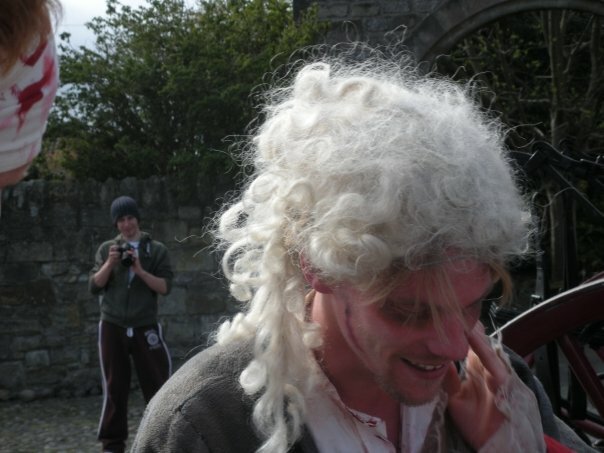 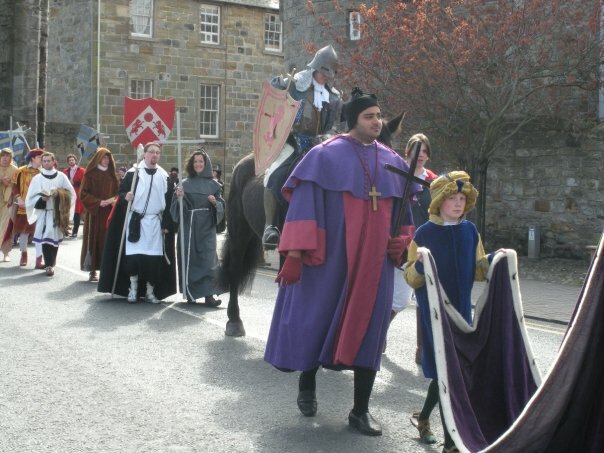 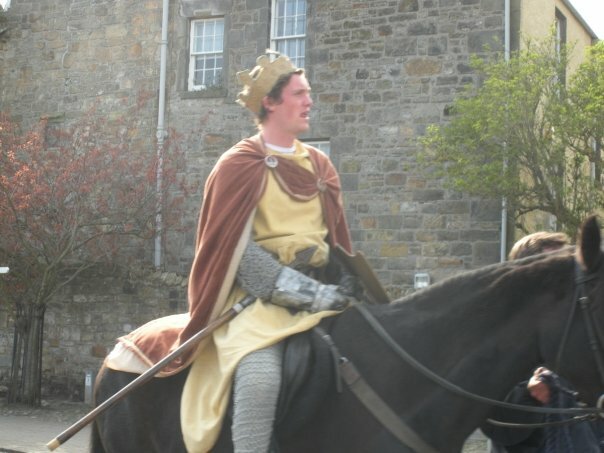 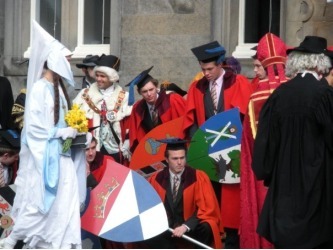 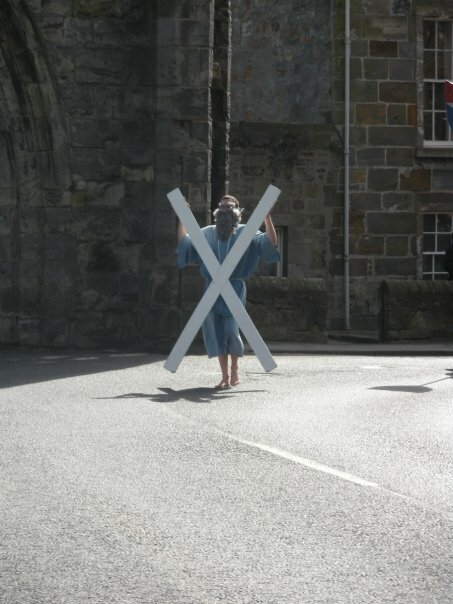 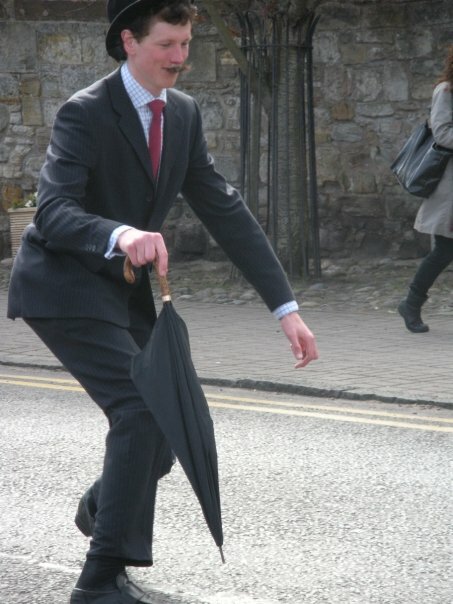 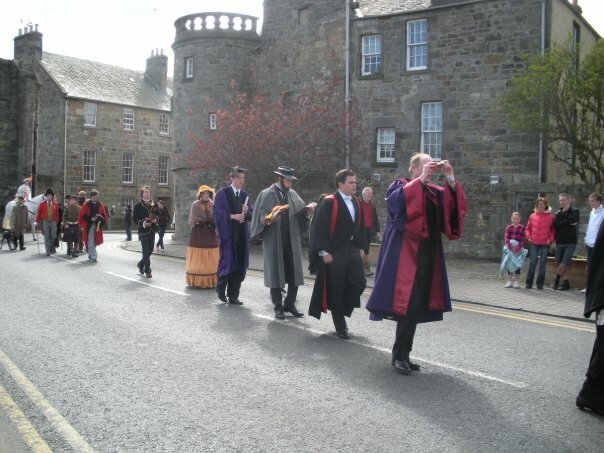 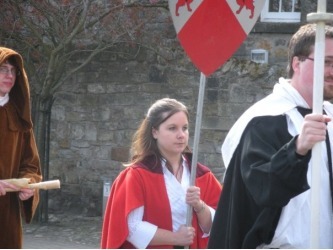 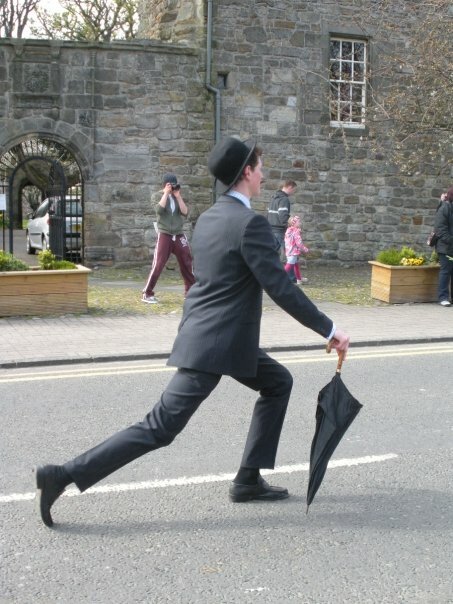 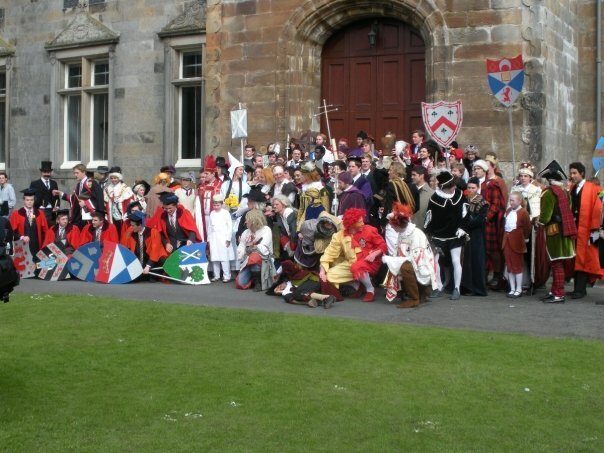 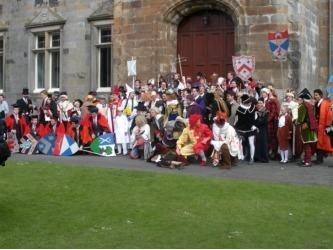 The procession nevertheless took place and as usual the role of "Kate Kennedy" (above) was played by a bejant (first year male student).